Public visitation is scheduled to begin at 1 p.m. Monday in Annapolis. It will continue until 7 p.m. Monday. Public visitation will resume Tuesday from 8 a.m. until 10 a.m.
ANNAPOLIS, Md. (AP) — Mourners are paying their final respects to House Speaker Michael Busch in the rotunda of the Maryland State House. The Baltimore Sun reports hundreds of mourners filed past a casket bearing Busch’s body in the State House on Monday. Bagpipes played “Amazing Grace” as an honor guard carried the casket through the State House front door. The coffin was placed on a bier near the historic House of Delegates mace, a 300-year-old wooden and silver staff that marks when the chamber is in session. Public visitation was scheduled to continue through Tuesday morning. A funeral service is scheduled for 11 a.m. Tuesday at St. John Neuman Church in Annapolis. 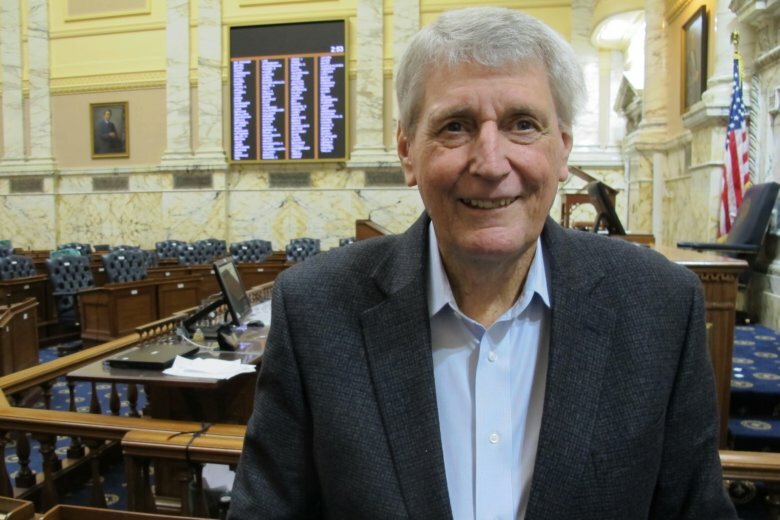 Busch, the longest serving House speaker in the state’s history, died earlier this month at age 72.